We can unapologetically say that Lagos is the central nervous system of authentic Nigerian culture. “No man’s land,” as it is fondly called, Lagos is the city where people of diverse ethnic groups have found a home. As the cultural melting pot, it is, it comes as no surprise that the city is also known for its richness in cuisine, arts and culture. No matter how long your time in Lagos may be, there are so many memories to make and things to tick off your bucket list. From masquerade festivals to art exhibitions, Lagos never disappoints when it comes to arts and culture. Do you already have a list? Scrap that as we take you on a literal tour of the most indulging things you can do in Lagos as art and culture lover. We can bet you’d be needing a new list in no distant time. There is no better way to soak in the Afrobeats sound than the Felabration. The event is an annual open-air music festival which celebrates the late Fela Anikulapo-Kuti, the influential forerunner of the Afrobeat music genre and a human right activist who in his time used music as a weapon to express displeasure on matters that affected Nigeria. 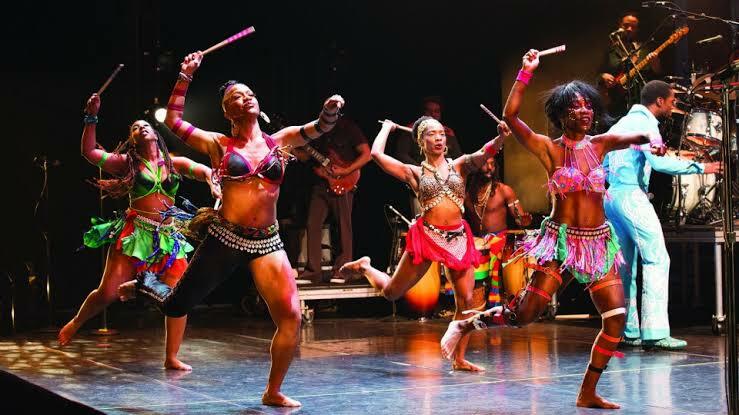 Felabration, which holds at the New Afrika Shrine during Fela’s birthday week features performances by top music acts from Nigeria and beyond. The week-long celebration includes street parades, overall jollification and symposia on up to date issues. This year’s Felabration is proposed to start on Monday, 14th of October and end Sunday, 20th of October, 2019. Grab your calendar and circle one, two or all of those dates. You’ll thank us later. Just like Pablo Picasso said, “painting is just another way of keeping a diary.” So, create memories as you tour this invigorating city. Simply put, it is an anomaly for an art lover to visit Lagos without experiencing the art galleries in this city. Some of our faves are the Rele Art Gallery, Nike Art Gallery and Red Door Art Gallery. 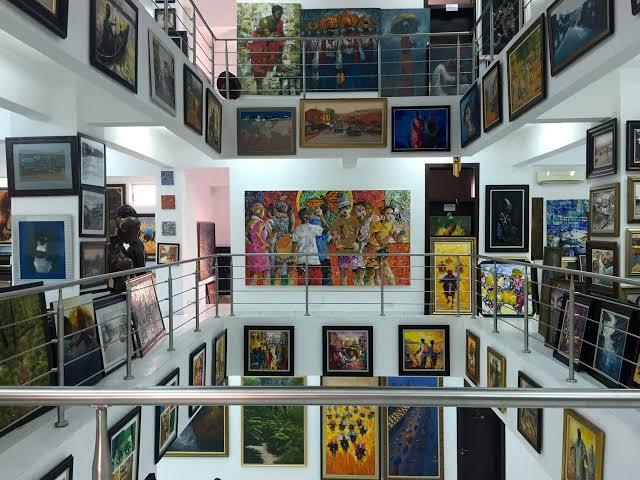 Picking a gallery to visit is always a hard choice to make because Lagos is enriched with lots of art galleries that exhibit from ancient to contemporary to “unpredictable” art. If you are an art collector or a tourist we guarantee that you would be leaving these galleries with at least two works of art to relish for a lifetime. How wonderful would it be to have your Lagos story resting pretty on your wall? Badagry is known to be the historical town where slaves were taken to/from before transportation overseas. As you explore the town, the densest of precolonial history seems to inhabit its walls. It is ironical to see a place that recorded the pain of slavery spring forth as a tourist attraction, but we can all agree that history, no matter how ugly must be preserved. 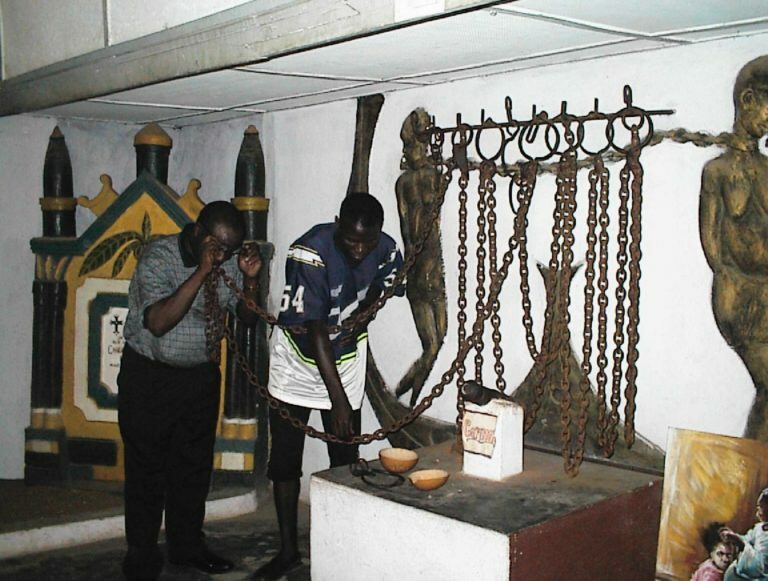 Get to see the chains used on slaves during that era and the slave market which now welcomes only free men for sightseeing at Badagry Black Heritage Museum and The Vlekete Slave Market. These places recorded at least 300 slaves sold daily. The journey to Badagry is worth it because you’re assured to leave with your knowledge tank full after beholding artefacts that hold so much of Nigeria’s history. You might want to grab a pen for this one. Are you interested in extraordinary contemporary art from Africa and its diaspora? 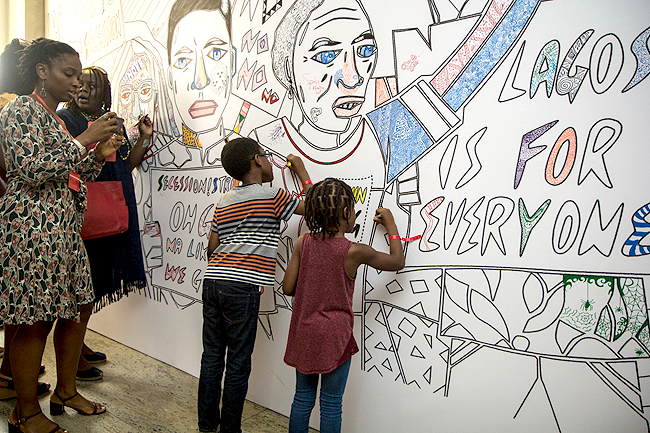 ART X Lagos is a West African international art fair and the first of its kind in Lagos. The fair now contributes to the unceasing growth of the visual art sphere in Nigeria. Our fave night is the ART X Live event, a fusion of music and art where you can catch-a-glimpse-of-your-fave-celebrities. You might need to take up the reins of your FUNometer or the live music and visual art show might leave you intoxicated. Talented arts like Teni, Boj, Simi and Tunde Alara have (in previous editions) left the show on the lips and hearts of attendees. The only challenge might be a free parking space due to the whole city trying to fit into the Civic Centre. The 4th edition of ArtXLagos holds between the 1st and 3rd of November, 2019. From Bogobiri House to the Eyo Festival to the Lekki Conservation Centre and Terra Kulture, there’s an abundance of arts and cultural hot spots to indulge in while in Lagos. The question is how much time do you have to spare?